New Zealand captain Kane Williamson. Kane Williamson posted an unbeaten double century and New Zealand joined the 700-run club to close in on a mammoth win over Bangladesh in the opening match. 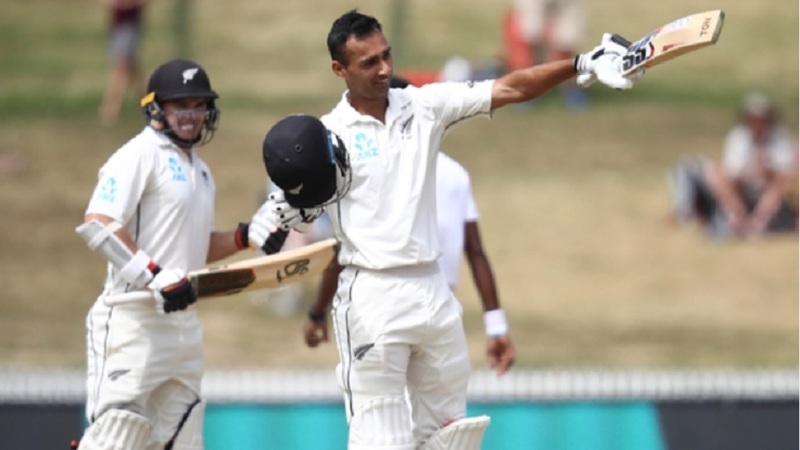 Williamson's second 200-score led New Zealand to 715-6 before they declared in Hamilton on Saturday – the Black Caps becoming the seventh Test nation to breach the 700-run mark after Sri Lanka, India, Australia, West Indies, England and Pakistan. 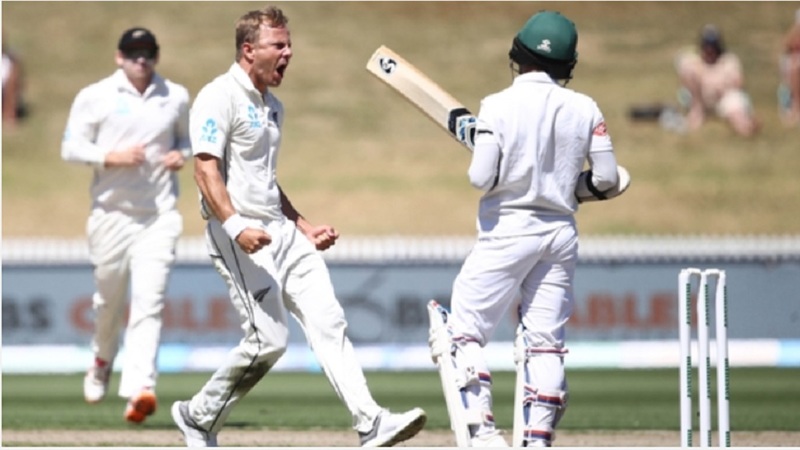 It also saw New Zealand surpass their previous best Test score of 690 against Pakistan in 2014 as the hosts earned a 481-run lead against Bangladesh at Seddon Park on day three. And New Zealand are poised to wrap up a comprehensive victory – the tourists 174-4 at stumps and still 307 runs adrift with two full days remaining. Sent in to bat again following their 234 in the first innings, Bangladesh looked quite comfortable as they reached 88 without loss thanks to Tamim Iqbal (74) and Shadman Islam (37). But when Shadman fell to Neil Wagner (1-48), Bangladesh lost their way, with Trent Boult (2-53) and fellow quick Tim Southee (1-54) leaving the guests with a mountain to climb. 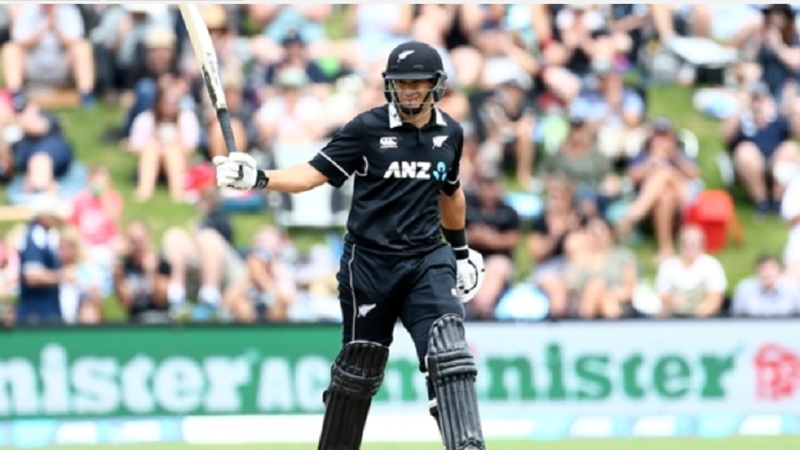 Resuming on 451-4, Williamson and New Zealand wasted little time as the Black Caps skipper and his team-mates scored freely in a demoralising performance. 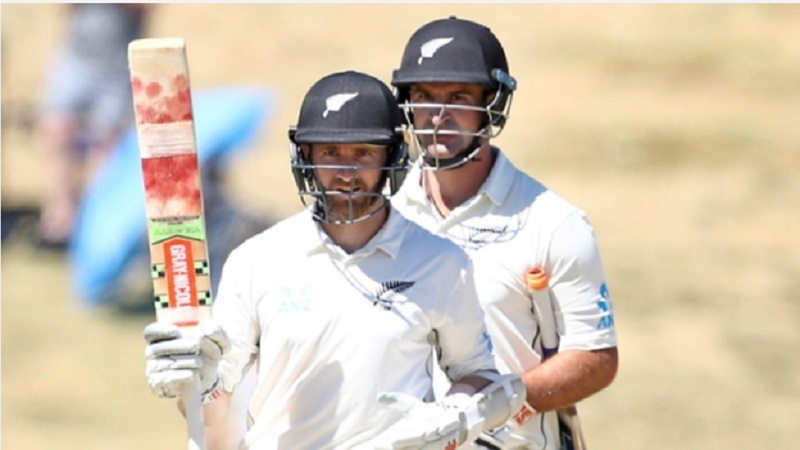 Williamson – 93 not out at the start of play – brought up his 20th Test century from just 143 balls as he became the fourth New Zealand batsman to score 6,000 runs in the longest format of the game before lunch, joining Stephen Fleming, Ross Taylor and Brendon McCullum. Only two New Zealand wickets fell on Saturday – Wagner the first to go off Ebadat Hossain (1-107) after a quick-fire 47 from 35 deliveries. Mehidy Hasan Miraz got the wicket of BJ Watling (31) but he endured a miserable innings as he finished with figures of 246-2, while Colin de Grandhomme (76) finished not out alongside Williamson. Soumya Sarkar (39) and Bangladesh captain Mahmudullah Riyad (15) wi ll resume at the crease on Sunday after Mominul Haque (8) and Mohammad Mithun (0) fell cheaply. Scores in the match so far: Bangladesh: 234 & 174-4; New Zealand 715-6 declared.